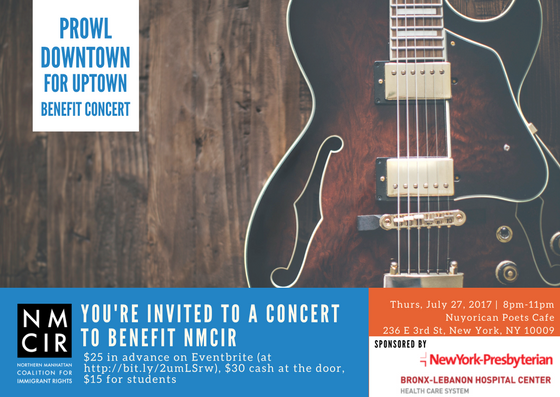 NMCIR is proud to announce that our Summer 2017 Benefit Concert, co-sponsored by New York-Presbyterian, Bronx Lebanon Hospital Center and Columbia University Medical Center, will be this Thursday, July 27th from 8pm to 11pm at the Nuyorican Poets Cafe. Come for music, dancing, drinks, and moving stories from members of our team and clients! Tickets may be purchased through Eventbrite or at the door. Please see the flyer below for more information. We hope to see you there, and if you can’t make it, please consider making a donation here.